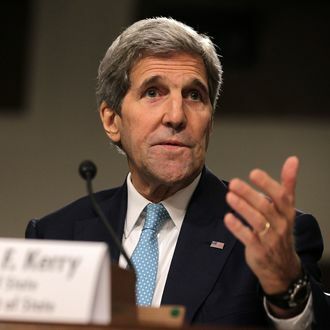 Secretary of State John Kerry went to talk to the Senate Foreign Relations Committee about the Iran Deal on Thursday. He had one major point to prove — the nuclear agreement may not be perfect, the United States may have a number of other problems with Iran, and it may not solve the long-term problem of what Iran might do with nuclear enrichment decades from now, but it is definitely better than nothing. At a minimum, the Obama administration needs to convince 34 senators or 146 House members that the deal is a good idea, or else Congress can override the veto the president will issue if lawmakers vote against it. “We will have squandered the best chance we have to solve this problem through peaceful means,” he warned. Congress — which will be out of D.C. much of August thanks to summer recess — has to decide what to do with the agreement by September 17.